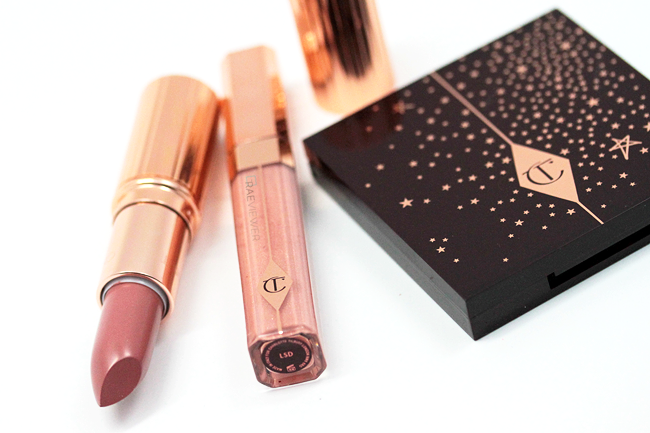 It has been a couple weeks since I have been able to release a video, so I am quite excited to share my take on Charlotte Tilbury's Holiday 2014 The Supermodel look with you! 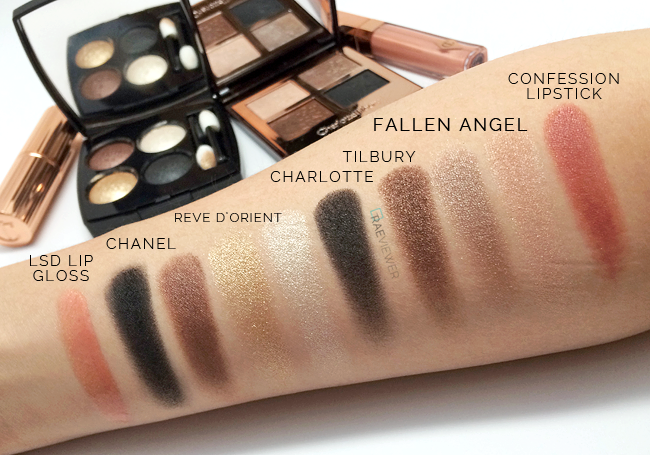 There has been a lot of buzz regarding the differences between the Fallen Angel and Reve d'Orient eyeshadow palettes, so I wanted to take extra time here to show you the highly requested swatches and comparisons. I, however, wanted to share first that as popular as Fallen Angel has been, the sell out product from this collection has been the Confession K.I.S.S.I.N.G. Lipstick! 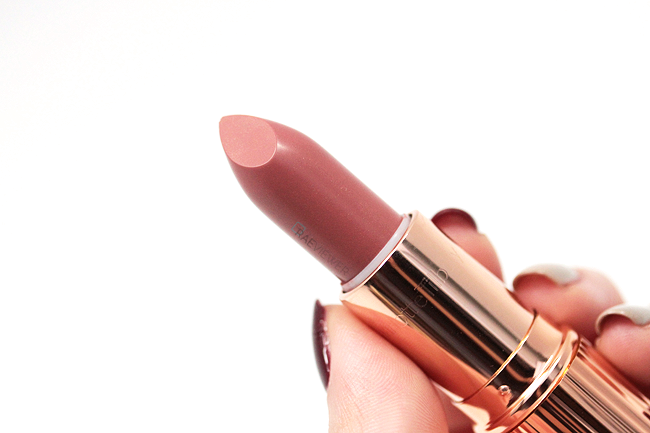 Confession is a lovely pink-beige that flatters any complexion, and the creamy opaque formula is winning everyone over. 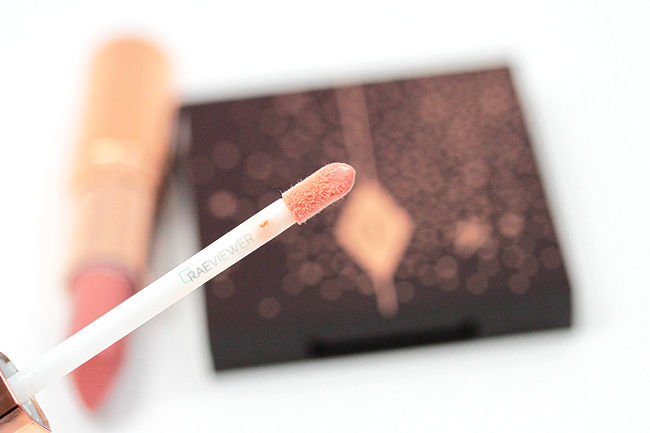 I absolutely adore how it performs on my sensitive, dry lips. It's selling out everywhere, and is only available at Bergdorf Goodman or within The Supermodel Makeup Collection (set with pouch) or The Supermodel Makeup Collection Tutorial Video Box (Limited Edition). As apprehensive as I was about the lipstick and lip gloss, both have impressed me beyond measure! I love how Confession and Lucy in the Sky with Diamonds look when layered, so I highly recommend you give them a try. Note: LSD appears more peach in swatches than it does on my lips. → The champagne in Fallen Angel is ultra smooth but not as reflective as the white in Reve d'Orient. The white in the Chanel palette also has a golden sheen, which makes it a more noticeable highlighter. I love both, but the champagne in Fallen Angel is more appropriate for day time, especially if you work in an office setting. → The taupe in Fallen Angel and the gold in Reve d'Orient are complete opposites, so this is where the two palettes obviously differ. I love the taupe in the pan, but it translates strongly metallic silver on my yellow-toned skin. I prefer the buttery smooth antique gold in Reve d'Orient because it is more flattering, but those with neutral, pink, and even olive-toned skin will most likely adore the taupe in Fallen Angel. 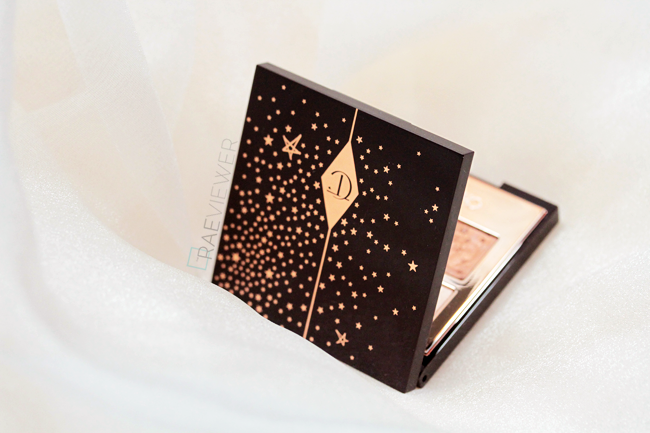 → The bronze in Fallen Angel looks most similar to the bronze in Reve d'Orient (even in swatches), but they are entirely different when worn on my eyes. 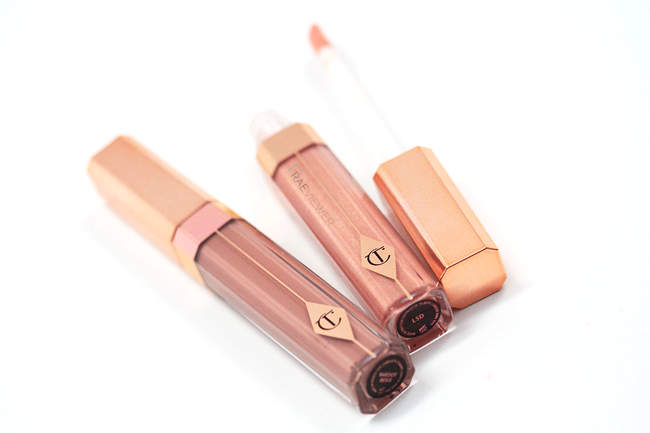 Fallen Angel's bronze is far cooler and more shimmery while Chanel's bronze is strongly warm and satin. Different textures and tones. → The black in Fallen Angel contains a high volume of shimmer, which makes the eyeshadow more translucent at first swipe. The satin black in Reve d'Orient is very intense and is better suited for use as eyeliner than the black in Fallen Angel. Both have similar amounts of fallout, but the shimmer in Fallen Angel's black makes it a little messier. Ultimately, I find the Fallen Angel palette easier to wear on a daily basis. 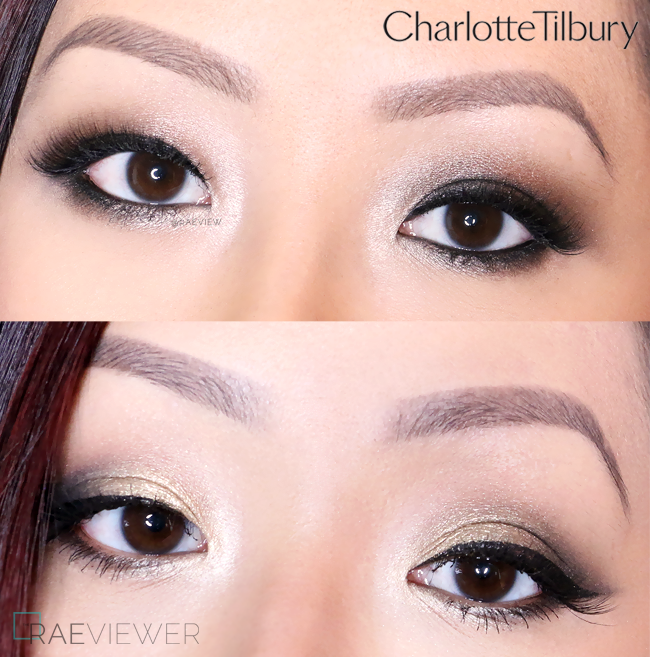 You can create a beautiful, cool taupe eyeshadow look and reserve the black for evenings out. The colors are ultra smooth and consistent, a step up from the quality of most CT quads (which are already great). 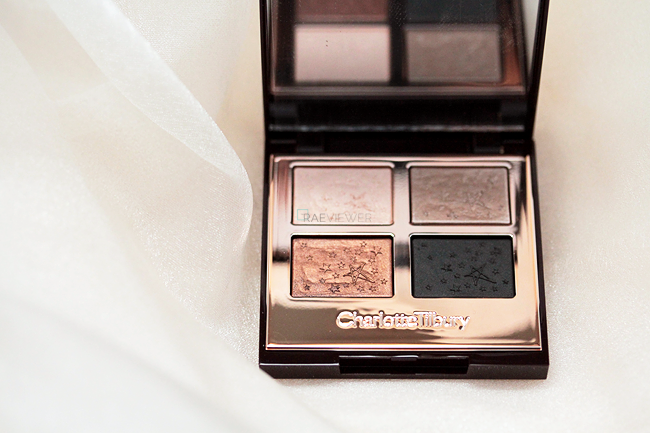 As much as I love working with cool tones, Chanel's Reve d'Orient produces an undeniable unique, warm smoky eye. I do like using the white highlighter alone in inner tear duct area when I'm having a minimal makeup day — which happens more and more often these days. Pair with lots of mascara for bigger, brighter eyes. Both palettes and the lipstick look so beautiful! 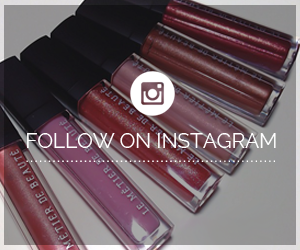 Tempted to get at least one of those eyeshadow quads. 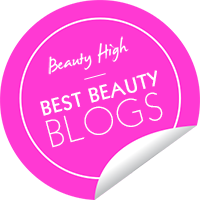 I love Charlotte Tilbury, I really want to try her products!